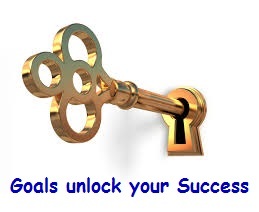 Goal Setting can be very frustrating, especially for Problem Solvers. Are you a Goal Setter or Problem Solver? It used to frustrate the hell out of me. It never seemed to work. No sooner would I set out on a path than things would change, take me off track, divert me, waste my time. This really bugged me. But I keep setting goals. Why? It really works. It works because it sets intent. Even though the day-to-day things might not work out exactly as planned, you will find that after six months, a year, or even ten, most of the things that you wrote down, has happened. When I was much younger, I was a computer programmer. I loved to find the full stop that wasn’t there, or the “go to” that went to the wrong place. Fixing these problems made the whole program work. Now I find the difference that makes the difference with people, and it is much more rewarding. So I realised we are not all Goal Setters. Some of us are Problem Solvers and that’s why we find it so difficult to relate to “Goal Setting”. We are very much like a program. Our parents “programmed” us with what is “right” and “wrong”, then teachers, brothers, sisters, the church, our clan, had an influence. Yet, we have another program inside of us that needs to come out, our Purpose. Often feeling depressed, angry, or frustrated, could be because we don’t know what our Purpose is. Even as adults we get bombarded by media and TV messages. The company we work for, the boss, our peers, colleagues and family all tell us what we should look like, how we should behave, what we should, and shouldn’t do. For most of our life we have been told what, when and how to do things. Mostly, we don’t question whether it works for us, or serves us to have those beliefs. We think: “that’s the way we are”. The result is we feel there is something wrong with us because we don’t fit in 100%. Hell, the marks on our fingertips aren’t the same on our own hands, never mind anyone else on the planet. WE ARE UNIQUE. We should celebrate that, not feel there is something wrong with us because we are different. Now, my challenge to you is to find your own unique purpose, your gift, and share it with the planet and its people. If you live your passion you can do what you love with passion and total dedication. The goals you set for yourself under “I am a singer” are different in a lot of ways from the goals you set under “I am an admin manager”. you will feel vibrant and alive. You may still have some training to do, or need other resources, and having an income may be very beneficial, even vital. When you know what you are doing is helping you on your way, even if it isn’t in the right direction, may make it more bearable in the meantime, especially because you know it is temporary. Before you set any Goals, you need to find your Purpose. Otherwise the goals you set may take you in the wrong direction. Having a purpose will give meaning to your decisions, so that you have a powerful, compelling reason to go through with your plans when the going gets tough. Click here to Find Your Purpose. The first step in setting Goals is to decide in what setting or context we want to set our Goals. If you want to be a programmer your goals will be different from starting your own business. 2nd step is to decide what you want to do, what outcomes and results you want. Or, if you are solution driven, what problem you want to solve. With this step you need to look at the resources you are going to need, whether you need more information, more training or something else. Beware of getting stuck in this phase. You need to look at what things may stop you or hinder your progress and find workarounds or solutions for them. 3rd step is to look at the price you will have to pay, what you will have to let go of, or give up, to get what you want, and then make an unswerving/ committed decision whether you are going to continue with it or not, i.e. decide whether you are willing to pay the price. Which Goals are the most important? check which goals will satisfy more than one need or desire. The most important part of getting something done is ACTION. You have to DO something, preferably the rightthing. When you do things you may find that things change. This is normal. You may find a lot of ways how not to do things. Don’t despair. Perseverance and tenacity is what you need here. Try, and try again. Remember as a baby, you didn’t just stand up and walk. You had to crawl first. The first steps were rather wobbly and you fell over a lot. That’s ok. You will, and do, get better at it. To make sure you are getting the results you want with your Goal Setting you need to look back. ……Are you meeting your targets or milestones? Do they need adjusting? If so, what, where and how do you need to change things? TIP: Don’t try and change anyone else. If you change, they will change, guaranteed. Setting Goals that inspire and excite you. 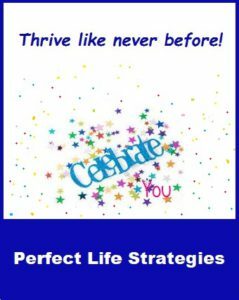 For assistance in Setting Goals that inspire and excite you please contact me. Click here.